This discussion is a followup on a series of articles elucidating the importance of NO, eNOS, iNOS, cardiovascular and vascular endothelium effects, and therapeutic targets. This mechanism of action and signaling actions have been introduced so that we identify endocrine, paracrine, and such effects in the normal, stressed, and dysfunctional state. The size and breadth of this vital adaptive process is now further explored. The title is short, befitting a subtitle. The full topic may be considered “Nitric Oxide has a ubiquitous role in the regulation of glycolysis -with a concomitant influence on mitochondrial function that is active in endothelium, platelets, vascular smooth muscle and neural cells and the balance has a role in chronic inflammation, asthma, hypertension, sepsis and cancer”. Nitric Oxide has a ubiquitous role in the regulation of glycolysis with a concomitant influence on mitochondrial function that is active in endothelium, platelets, vascular smooth muscle and neural cells and the balance has a role in chronic inflammation, asthma, hypertension, sepsis and cancer. Potential cytotoxic mediators of endothelial cell (EC) apoptosis include increased formation of reactive oxygen and nitrogen species (ROSRNS) during the atherosclerotic process. Nitric oxide (NO) has a biphasic action on oxidative cell killing with low concentrations protecting against cell death, whereas higher concentrations are cytotoxic. High levels of NO can be produced by inducible nitric-oxide synthase in response to cytokine stimulation, primarily from macrophages, and elevated levels of NO is injurious to endothelium.Ccytochrome c release and caspase activation are involved in NO induced apoptosis. ROS also induces mitochondrial DNA damage in ECs, and this damage is accompanied by a decrease in mitochondrial RNA (mtRNA) transcripts, mitochondrial protein synthesis, and cellular ATP levels. Mitochondria have been recognized to play a pivotal role in the signaling cascade of apoptosis leading to atherosclerosis-induced damage in endothelial cells. The processes involved in the signaling pathways leading to apoptosis are complex but have some degree of convergence between cell types including those in the vasculature. Release of cytochrome c from mitochondria is a proapoptotic signal, which activates several downstream signaling events including formation of the apoptosome and activation of caspases. Ubiquinol cytochrome c reductase (complex III) is a site for ROS formation, and cytochrome c oxidase (complex IV) is a target for the interaction of NO in mitochondria. The impact of the inhibition of mitochondrial protein synthesis is particularly important in NO-dependent cytotoxicity, and depends also on other factors such as glycolysis. These authors examined whether the inhibition of mitochondrial protein synthesis by chloramphenicol increases the susceptibility of endothelial cells to undergo NO-dependent apoptosis in glucose-free media. Bovine aortic endothelial cells were treated with chloramphenicol, which resulted in a decreased ratio of mitochondrial complex IV to cytochrome c and increased oxidant production in the cell. Inhibition of mitochondrial protein synthesis was associated with a greater susceptibility of the cells to apoptosis induced by NO in glucose-free medium. Nitric oxide (NO) is a ubiquitous signaling molecule whose physiological roles mediated through the activation of the soluble guanylate cyclase are now clearly recognized. At physiological concentrations, NO also inhibits the mitochondrial enzyme cytochrome c oxidase (complex IV) in competition with oxygen, and recently we have suggested that the interplay between the two gases allows this enzyme to act as an oxygen sensor in cells. 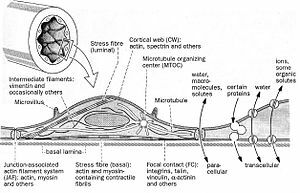 In addition, NO plays a variety of patho-physiological roles, some of which also may be the consequence of its action at a mitochondrial level. We have characterized the sequence of events that follow inhibition of complex IV by continuous exposure to NO. The effect of nitric oxide on cell respiration: A key to understanding its role in cell survival or death. B Beltra, A Mathur, MR Duchen, JD. Erusalimsky, and S Moncada. PNAS Dec 19, 2000; 97(26):4602–14607. Another study by this group shows that inhibition of respiration by exogenous nitric oxide (NO) in Jurkat cells leads to mitochondrial membrane hyperpolarization dependent on the utilization of glycolytic ATP by the F1Fo-ATPase and other transporters acting in reverse mode. This process also occurs in astrocytes, which are highly glycolytic cells, but not in neurons , which do not invoke glycolysis to maintain ATP concentrations. In addition, this hyperpolarization correlates with protection against apoptotic cell death. Others found an early phase of mitochondrial hyperpolarization after treatment of a variety of cells with different pro-apoptotic stimuli, which precedes the generation of free. At present, no satisfactory explanation has been proposed to explain the mechanism of hyperpolarization, the reasons why free radicals are released from the mitochondrion, or the connection of these phenomena with apoptosis. The authors surmise that a pro-apoptotic stimulus, anti-Fas Ab, leads to release of endogenous NO from Jurkat cells in sufficient amounts to inhibit cell respiration and cause a hyperpolarization dependent on the reversal of the F1Fo-ATPase. Moreover, the reduction of the mitochondrial electron transport chain, after inhibition of cytochrome oxidase by NO, leads to generation of superoxide anion (O2). They suggest the process is a cellular defense response that may be overcome by pro-apoptotic mechanisms that occur in parallel. Nitric oxide has been shown to render cells resistant to oxidative stress. Mechanisms proposed for the ability of nitric oxide to protect cells against oxidative stress include reactions of nitric oxide and the induction of adaptive responses that require protein synthesis. Nitric oxide forms iron complexes preventing the formation of strong oxidants. In addition, reactions of nitric oxide with lipid and or organic radicals protect against membrane peroxidation and peroxidative chemistry-induced cell injury. Exposure to low, nonlethal doses of nitric oxide induces adaptive responses that render cells resistant to lethal concentrations of nitric oxide and or peroxides, such as, the induction of hemoxygenase-1 (HO-1) and Mn superoxide dismutase. The up-regulation of HO-1 was accompanied by an increase in ferritin to account for the release of iron from HO-1, indicating a role of both iron heme and nonheme iron for peroxide-mediated cellular injury. Further, nitric oxide, by regulating critical mitochondrial functions such as respiration, membrane potential, and release of cytochrome c, is able to trigger defense mechanisms against cell death induced by pro-apoptotic stimuli. This study investigates the potential contribution of nitric oxide’s ability to protect cells from oxidative stress, low steady state levels of nitric oxide generated by endothelial nitric oxide synthase (eNOS) and the mechanisms of protection against H2O2. Spontaneously transformed human ECV304 cells, which normally do not express eNOS, were stably transfected with a green fluorescent-tagged eNOS cDNA. The eNOS-transfected cells were found to be resistant to injury and delayed death following a 2-h exposure to H2O2 (50–150 mM). Inhibition of nitric oxide synthesis abolished the protective effect against H2O2 exposure. The ability of nitric oxide to protect cells depended on the presence of respiring mitochondria. ECV3041 eNOS cells with diminished mitochondria respiration are injured to the same extent as non-transfected ECV304 cells, and recovery of mitochondrial respiration restores the ability of nitric oxide to protect against H2O2-induced death. Nitric oxide had a profound effect in cell metabolism, because ECV3041eNOS cells had lower steady state levels of ATP and higher utilization of glucose via the glycolytic pathway than ECV304 cells. However, the protective effect of nitric oxide against H2O2 exposure is not reproduced in ECV304 cells after treatment with azide and oligomycin suggesting that the dynamic regulation of respiration by nitric oxide represent a critical and unrecognized primary line of defense against oxidative stress. Dynamic regulation of metabolism and respiration by endogenously produced nitric oxide protects against oxidative stress. E Paxinou, M Weisse, Q Chen, JM Souza, et al. PNAS Sept 25, 2001; 98( 20): 11575–11580. http://www.pnas.orgycgiydoiy10.1073ypnas.201293198. Nitric oxide (NO) mediates a variety of biological effects including relaxation of blood vessels, cytotoxicity of activated macrophages, and formation of cGMP by activation of glutamate receptors of neurons. NO has also been implicated for such pathophysiological conditions as destruction of tumor cells by macrophages, rheumatoid arthritis, and focal brain ischemia. Some of these effects of NO are associated with hypoxic conditions. O2 radicals and ions that result from reactivity of NO are presumed to be involved in NO cytotoxicity. These investigators report that adaptive cellular response controlled by the transcription factor hypoxia-inducible factor 1 (HIF-1) in hypoxia is suppressed by NO. Induction of erythropoietin and glycolytic aldolase A mRNAs in hypoxically cultured Hep3B cells, a human hepatoma cell line, was completely and partially inhibited, respectively, by the addition of sodium nitroprusside (SNP), which spontaneously releases NO. A reporter plasmid carrying four hypoxia-response element sequences connected to the luciferase structural gene was constructed and transfected into Hep3B cells. Inducibly expressed luciferase activity in hypoxia was inhibited by the addition of SNP and two other structurally different NO donors, S-nitroso-Lglutathione and 3-morpholinosydnonimine, giving IC50 values of 7.8, 211, and 490 mM, respectively. Inhibition by SNP was also observed in Neuro 2A and HeLa cells, indicating that the inhibition was not cell-type-specific. The vascular endothelial growth factor promoter activity that is controlled by HIF-1 was also inhibited by SNP (IC50 5 6.6 mM). Induction generated by the addition of cobalt ion (this treatment mimics hypoxia) was also inhibited by SNP (IC50 5 2.5 mM). Increased luciferase activity expressed by cotransfection of effector plasmids for HIF-1a or HIF-1a-like factor in hypoxia was also inhibited by the NO donor. We also showed that the inhibition was performed by blocking an activation step of HIF-1a to a DNA-binding form. Inhibition of hypoxia-inducible factor 1 activity by nitric oxide donors in hypoxia. K Sogawa, K Numayama-Tsuruta, M Ema, M Abe, et al. Proc. Natl. Acad. Sci. USA (Biochemistry) June 1998; 95:7368–7373. 1998. The National Academy of Sciences 0027-8424.98.957368-6. http:yywww.pnas.org. The role of nitrogen metabolism in the survival of prolonged periods of waterlogging was investigated in highly flood-tolerant, nodulated Lotus japonicus plants. Alanine production revealed to be a critical hypoxic pathway. Alanine is the only amino acid whose biosynthesis is not inhibited by nitrogen deficiency resulting from RNA interference silencing of nodular leghemoglobin. The metabolic changes that were induced following waterlogging can be best explained by the activation of alanine metabolism in combination with the modular operation of a split tricarboxylic acid pathway. The sum result of this metabolic scenario is the accumulation of alanine and succinate and the production of extra ATP under hypoxia. The importance of alanine metabolism is discussed with respect to its ability to regulate the level of pyruvate, and this and all other changes are discussed in the context of current models concerning the regulation of plant metabolism. DNA damage occurs in ischemia, excitotoxicity, inflammation, and other disorders that affect the central nervous system (CNS). Extensive DNA damage triggers cell death and in the mature CNS, this occurs primarily through activation of the poly(ADP-ribose) polymerase-1 (PARP-1) cell death pathway. 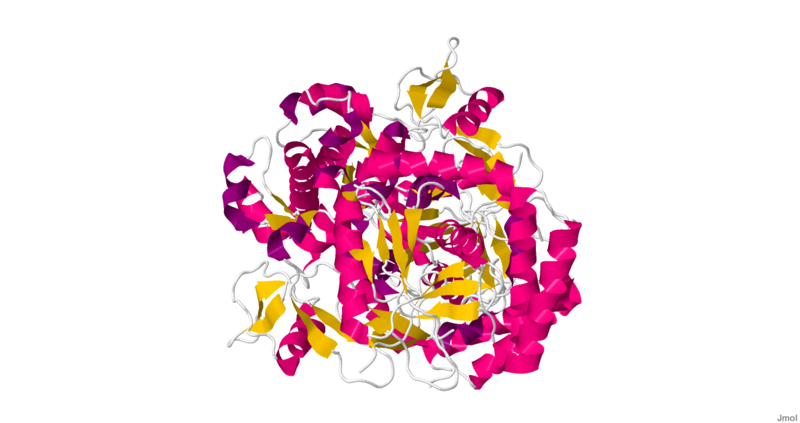 PARP-1 is an abundant nuclear enzyme that, when activated by DNA damage, consumes nicotinamide adenine dinucleotide (NAD)+ to form poly(ADP-ribose) on acceptor proteins. The PARP-1 activation leads to cell death. We used mouse astrocyte cultures to explore the bioenergetic effects of NAD+ depletion by PARP-1 and the role of NAD+ depletion in this cell death program. PARP-1 activation led to a rapid but incomplete depletion of astrocyte NAD+, a near-complete block in glycolysis, and eventual cell death. Repletion of intracellular NAD restored glycolytic function and prevented cell death. The addition of non-glucose substrates to the medium, pyruvate, glutamate, or glutamine, also prevented astrocyte death after PARP-1 activation. These findings suggest a sequence of events in which NAD+ depletion is a key event linking DNA damage to metabolic impairment and cell deathm. A similar scenario has been proposed by Zong et al. (2004), based on the finding that cell types that depend on aerobic glycolysis for ATP production exhibit a particularly high sensitivity to DNA damage and PARP-1 activation. In mature brain, glucose is normally the dominant metabolic substrate due to relatively slow transport of other metabolites across the blood– brain barrier. Oncein brain, glucose may be metabolized directly by neurons and glia or may be metabolized to lactate in glia and thelactate subsequently shuttled to neurons for oxidative metabolism (Dringen et al., 1993; Pellerin and Magistretti,1994; Wender et al., 2000; Dienel and Cruz, 2004). In either case, a block in glycolytic flux produced by NAD depletion will block energy metabolism in both neurons and glia in brain. Interestingly, the lactate shuttle hypothesis raises the possibility that activation of PARP-1 selectively in astroglia might also block energy metabolism in neurons. These studies suggest PARP-1 activation leads to rapid depletion of the cytosolic but not the mitochondrial NAD+ pool. Depletion of the cytosolic NAD+ pool renders the cells unable to utilize glucose as a metabolic substrate. Under conditions where glucose is the only available metabolic substrate, this leads to cell death. This cell death pathway is particularly germane to brain because glucose is normally the only metabolic substrate that is transported rapidly across the blood–brain barrier. © 2004 Wiley-Liss, Inc.
NAD+as a metabolic link between DNA damage and cell death. DNA damage induced by alkylating agents, oxidative stress, or other agents causes PARP-1 activation. PARP-1 activation leads to depletion in cytosolic NAD with, initially, a relative preservation of mitochondrial NAD and mitochondrial function. The depletion in cytosolic NAD+ blocks glycolysis, and in cells in which glucose is the primary energy substrate, this in turn leads to a block in substrate flux to mitochondria. The resulting mitochondrial dysfunction leads to mitochondrial permeability transition (MPT) and subsequent downstream events culminating in cell death. The results indicate that: 1) in porcine platelets NO is able to diminish mitochondrial energy production through the inhibition of cytochrome oxidase, 2) the inhibitory effect of NO on platelet secretion (but not aggregation) can be attributed to the reduction of mitochondrial energy production. Nitric oxide (NO) has been increasingly recognized as an important intra- and intercellular messenger molecule with a physiological role in vascular relaxation, platelet physiology, neurotransmission and immune responses (Moncada et al., 1991; Radomski et al., 1996; Szabó, 1996; Riedel et al., 1999; Titheradge 1999). In vitro NO is a strong inhibitor of platelet adhesion and aggregation (Radomski et al., 1996; Riedel et al., 1999;nSogo et al., 2000). In the blood stream, platelets remain in contact with NO that is permanently released from the endothelial cells and from activated macrophages (Moncada et al., 1991; Riedel et al., 1999; Titheradge 1999). It has been suggested that the activated platelet itself is able to produce NO (Lantoine et al., 1995; Zhou et al., 1995; Radomski et al., 1996). The mechanism responsible for the inhibitory effect of NO on platelet responses is not entirely clear. It is believed that the main intracellular target for NO in platelets is soluble cytosolic guanylate cyclase (Waldman & Walter 1989; Schmidt et al., 1993; Wang et al., 1998). NO activates the enzyme (Schmidt et al., 1993). Thus, elevated intracellular cGMP level inhibits platelet activation. There are suggestions, however, that elevated cGMP may not be the only intracellular factor directly involved in the inhibition of platelet activation (Gordge et al., 1998; Sogo et al., 2000; Beghetti et al., 2003). Platelets are fairly active metabolically and have a total ATP turnover rate of about 3–8 times that of resting mammalian muscle (Akkerman, 1978; Akkerman et al., 1978; Holmsen, 1981; Niu et al., 1996). Platelets contain mitochondria which enable these cells to produce energy both in the oxidative and anaerobic way (Holmsen, 1981). Under aerobic conditions, ATP is produced by aerobic glycolysis using glucose or glycogen which can account for 30–50% of total ATP production, and by oxidative metabolism using glucose and glycogen (6–11%), amino-acids (7%) or free fatty acids (20–40%) (Holmsen 1981; Guppy et al., 1990; Niu et al., 1996). The inhibition of mitochondrial respiration by removing oxygen or by respiratory chain blockers (antimycin A, cyanide, rotenone) results in the stimulation of glycolytic flux (Guppy et al., 1990). This phenomenon is known as Pasteur effect and indicates that in platelets glycolysis and mitochondrial respiration are tightly functionally connected (Akkerman, 1978; Holmsen, 1981; Guppy et al., 1995; Niu et al., 1996). It has been reported that the activation of human platelets by high concentration of thrombin is accompanied by an acceleration of lactate production and an increase in oxygen consumption (Akkerman & Holmsen, 1981; Niu et al., 1996). The results presented here suggest that also porcine blood platelets stimulated by collagen produce more lactate. This indicates that both glycolytic and oxidativeATP production supports platelet responses. This also indicates that blocking of energy production in platelets may decrease their responses. It is well established that platelet responses have different metabolic energy (ATP) requirements increasing in the order: aggregation< dense and alfa granule secretion < acid hydrolase secretion (Holmsen et al., 1982; Verhoeven et al., 1984; Morimoto & Ogihara, 1996). The present results indicate that exogenously added NO (in the form of NO donors)stimulates glycolysis in intact porcine platelets. Since in platelets glycolysis and mitochondrial respiration are tightly functionally connected, this can be interpreted to mean that the stimulatory effectof NO on glycolysis in intact platelets may be produced by non-functional mitochondria.This can be really the case since NO donors are able to inhibit both mitochondrial respiration and platelet cytochrome oxidase. Interestingly, the concentrations of NO donors inhibiting mitochondrial respiration and cytochrome oxidase were similar to those stimulating glycolysis in intact platelets. Studies performed on intact J774 cells have shown that mitochondrial complex I is inhibited only after a prolonged (6–18 h) exposure to NO and that this inhibition appears to result from S-nitrosylation of critical thiols in the enzyme complex (Clementi et al., 1998). Further studies are needed to establish whether long term exposure of platelets to NO affects Mitochondrial complexes I and II. Comparison of the concentrations of SNP and SNAP affecting cytochrome oxidase activityand mitochondrial respiration with those reducing the platelet responses indicates that NO cannot significantly reduce platelet aggregation through the inhibition of oxidative energy production. By contrast, the concentrations of the NO donors inhibiting platelet secretion, mitochondrial respiration and cytochrome oxidase were similar. This and the fact that the platelet release reaction strongly depends on the oxidative energy production may suggest that in porcine platelets NO can affect platelet secretion through the inhibition of mitochondrial energy production at the step of cytochrome oxidase. Taking into account that platelets may contain NO synthase and are able to produce significant amounts of NO (Berkels et al., 1997)it seems possible that nitric oxide can function in these cells as a physiological regulator of mitochondrial energy production. quantities of ATP. We now demonstrate, using TMRM fluorescence and time-lapse confocal microscopy, that these cells maintain a high mitochondrial membrane potential (ΔΨm) despite the complete inhibition of respiration. The maintenance of high ΔΨm is due to the utilization of a significant proportion of glycolytically generated ATP as a defence mechanism against cell death. This is achieved by the reverse functioning of FoF1-ATP synthase and adenine nucleotide translocase (ANT). Treatment of activated MФ with inhibitors of either of these enzymes, but not with inhibitors of the respiratory chain complexes I to IV, led to a collapse in ΔΨm and to an immediate increase in intracellular [ATP], due to the prevention of ATP hydrolysis by the FoF1-ATP synthase. This collapse in ΔΨm was followed by translocation of Bax from cytosol to the mitochondria, release of cytochrome c into the cytosol, activation of caspase 3 and 9 and subsequent apoptotic cell death. Our results indicate that during inflammatory activation “glycolytically competent cells” such as MФ utilize significant amounts of the glycolytically-generated ATP to maintain ΔΨm and thereby prevent apoptosis. The effects of the sodium nitroprusside (SNP), a nitric oxide (NO) donor clinically used in the treatment of hypertensive emergencies on the energy production of rat reticulocytes were investigated. Rat reticulocyte-rich red blood cell suspensions were aerobically incubated without (control) or in the presence of different concentrations of SNP (0.1, 0.25, 0.5, 1.0 mM). SNP decreased total and coupled, but increased uncoupled oxygen consumption. This was accompanied by the stimulation of glycolysis, as measured by increased glucose consumption and lactate accumulation. Levels of all glycolytic intermediates indicate stimulation of hexokinase-phosphofructo kinase (HK-PFK), glyceraldehyde 3-phosphate dehydrogenase (GAPD) and pyruvate kinase (PK) activities in the presence of SNP. Due to the decrease of coupled oxygen consumption in the presence of SNP, ATP production via oxidative phosphorylation was significantly diminished. Simultaneous increase of glycolytic ATP production was not enough to provide constant ATP production. In addition, SNP significantly decreased ATP level, which was accompanied with increased ADP and AMP levels. However, the level of total adenine nucleotides was significantly lower, which was the consequence of increased catabolism of adenine nucleotides (increased hypoxanthine level). ATP/ADP ratio and adenylate energy charge level were significantly decreased. In conclusion, SNP induced inhibition of oxidative phosphorylation, stimulation of glycolysis, but depletion of total energy production in rat reticulocytes. These alterations were accompanied with instability of energy status. Effects of Exogenous Donor of Nitric Oxide – Sodium Nitroprusside on Energy Production of Rat Reticulocytes. SD MALETIĆ, L M DRAGIĆEVIĆ-DJOKOVIĆ, BI OGNJANOVIĆ, RV ŽIKIĆ, AŠ ŠTAJN, MB SPASIĆ. 1. The role of NO in regulating cellular death is in many organs and central to this function is the stabilization of mitochondria through sufficient levels of NO. High levels of eNO leads to mitochondrial dysfunction that increases the dependence of ATP generated from glycolysis. 2. This is accompanied by inhibition of oxidative phosphorylation and stimulation of glycolysis, which brings the discussion to a different domain – cancer growth and Warburgh Effect. 3. This is accompanied by PPAR activation, cytoplasmic NAD+ depletion, and inhibition of glycolysis (critical in cells dependent on aerobic glycolysis), depletion of total energy production, and apoptosis. 4. Maintenance of high glycolytic generation of ATP is essential for cellular defense, but the oxygen consumption is uncoupled. Again a great post. As key contribution to our thrust on Nitric Oxide. Keep on the excellent work, so proud of the caliber of work that you publish on this scientific web site.